Home | Innovatek Medical Inc.
is a manufacturer, importer and distributor of medical devices, founded in 1990. We're a Canadian company selling rapid diagnostic kits in the areas of women's health, drugs of abuse, and infectious diseases. 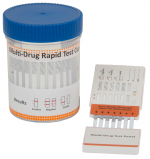 We also sell various diagnostics kits and supplies for clinical industrial laboratories. We meet and exceed customer expectations through superior service and follow up from both a technical support and supply point of view. Urine drug screens for Opioid treatment clinics and addiction services. Available in Cup and Panel Tests. Competitive prices. 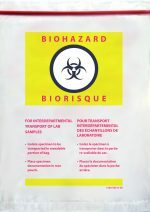 Plain, Biohazard, Stat logo, resealable and non-resealable options. Updated website to serve you better! These are only the high level sections. Browse our products or search for an indepth list of our products. Innovatek Medical Inc. is a manufacturer, importer and distributor of medical devices. Copyright © 1990 - 2019. Innovatek Medical Inc. All rights reserved. Terms and Conditions. Banner image original photo credit: University of Michigan School of Natural Resources & Environment with CC by 2.0 license. Modified image.